Today a Flatbed... Tomorrow a Versatile Van! 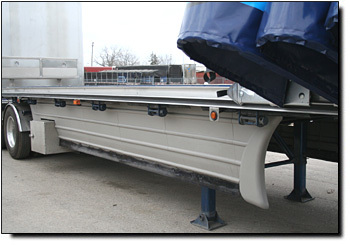 The LOOK® Sliding Tarpaulin System, for flatbed B-Train trailers, maximizes your load covering versatility by converting your flatbed B-Train trailers into convertible van trailers providing customers with load covering protection and keeping drivers safe and free from injury. 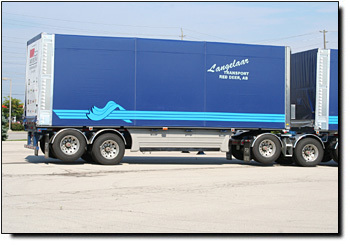 Today's transportation industry demands fleets to provide the most suitable equipment at a moments notice allowing customers to ship over sized products with confidence and security. 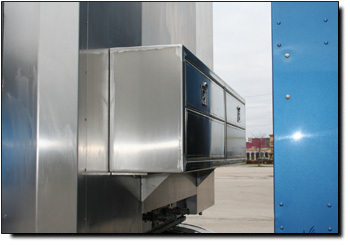 Only the The LOOK® Sliding Tarpaulin System guarantees our customers years of trouble free operation while ensuring the lowest maintenance over the life of the system. 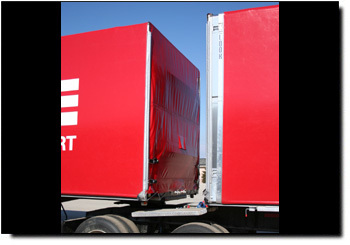 Its critical the distance between trailers is reviewed prior to commencing with ordering or installing a standard sliding tarp system on a B-Train combination trailer. The ideal dimension is 39" allowing for the proper turning radius during an extreme Jack-Knife. The LOOK® comes standard with a 6-1/6" Deep Chamfered corner Bulkhead allowing for locks, lights and even rear doors on the lead trailer, all which are suitable and can be incorporated without fear of damage between trailers in the Gap. 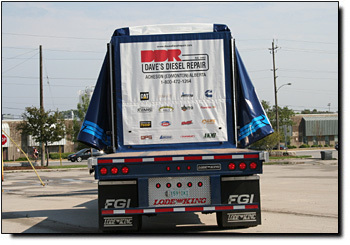 Whatever your load covering requirements are Tarp Technology Innovations and LCS will bring our TEAM of expert Engineer's, Designers and Field Technicians to your company with problem solving solutions. Contact us and see what we can do for you. 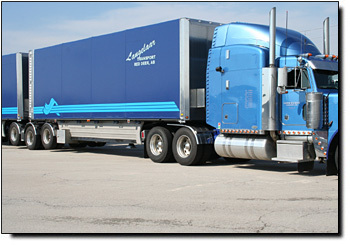 You will have to purchase The LOOK® to experience the full impact of why fleets are switching to the best built system in the world. Only The LOOK® guarantees the lowest maintenance in the industry over any other system while providing the highest residual value over 10 years. The LOOK® Sliding Tarpaulin System - "Best Value Guaranteed"